I was recently reminded of some musings by Giamatti about the nature of baseball, and specifically how the game relates to the idea — the concept, the notion, the pull — of home. His ideas suddenly seemed vitally important to me, helpful to something I was (and still am) writing. So I found the track in my iTunes Library, listened and listened again while transcribing word for word. Here I offer you that one three-minute preamble — words that struck me, and have stuck with me, for more than 20 years. Now, hopefully, a lasting internet artifact. Please note that I endeavored to transcribe his words faithfully and accurately. The punctuation is my own, faithful to my own ear and to what I imagine to be, perhaps, Mr. Giamatti’s own predelictions, though I’m sure he would have managed the lineup differently. Any sloppiness to these sentences is entirely, I think, due to context. He was speaking from notes, as I recall, but the expression was primarily oral, not written. Thoughts are not always “complete,” as it were. 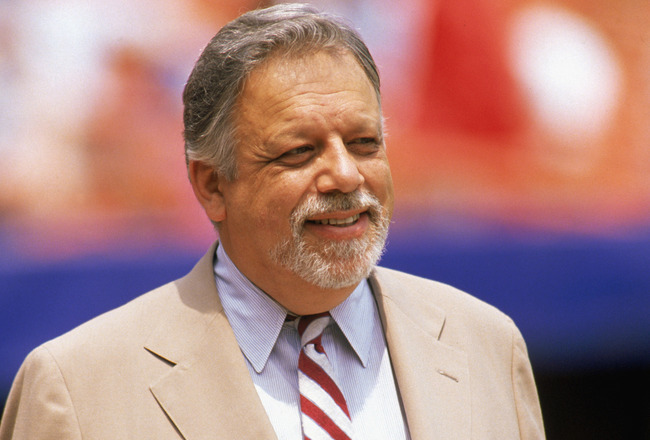 A. Bartlett Giamatti, scholar and former Commissioner of Baseball. “There is no great long poem about baseball. It may be that baseball is itself its own great long poem. This had occurred to me in the course of my wondering why home plate wasn’t called fourth base. And then it came to me: Why not? Meditate on the name for a moment. Home. Home is an English word virtually impossible to translate into other tongues. No translation catches the associations, the mixture of memory and longing, the sense of security and autonomy, the accessibility, the aroma of inclusiveness, the freedom from wariness, that cling to the word home, that are absent from ‘house’ or even ‘my house.’ Home is a concept, not a place, a state of mind where self-definition starts; it is origins. A mix of time and place and smell and weather wherein one first realizes that one is an original — perhaps like others, especially those one loves, but discreet, distinct, not to be copied. Home is where one first learned to be separate, and it remains in the mind as the place where reunion, if it were ever to occur, would happen. So of course home drew Odysseus , who then set off again because it isn’t necessary to be in a specific place, in a house or a town, to be one who has gone home. So home is the goal rarely glimpsed, and almost never attained, of all the heroes descended from Odysseus . All literary romance, all Romance Epic, derives from The Odyssey and it is about going home. It is about rejoining, the rejoining of beloved, rejoining of parent to child, the rejoining of land to its rightful owner or rule. Romance is about putting things right after some tragedy has put them asunder. It is about restoration of the right relations among things. And going home is where that restoration occurs because that’s where it matters most. 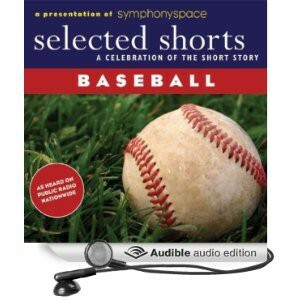 The poems that were read following Giamatti’s introduction were: “Polo Grounds” by Rolfe Humphries, “Pitcher” and “Base Stealer” by Robert Francis, and “Cobb Would Have Caught It” by Robert Fitzgerald. Teams in grey deploy through sunlight. Talk it up, boys, a little practice. Wings it deadeye down to first. Nods past batter, taking his time. Makes it a triple. A long peg home. Innings and afternoons. Fly lost in sunset. Throwing arm gone bad. There’s your old ball game. Cool reek of the field. Reek of companions. Also of note: The Poetry Foundation, where I signed up for spectacular email updates, recently provided a link to a sweet collection of baseball poems. Click here and start running around the bases . . . Lots of good poems there, even some home runs. Thanks for posting this Jim. Giamatti was one of my favorite baseball writers and “Green Fields of the Mind” is one of the best essays on any subject.